Ever wonder the mental toughness needed to make it to the NBA? Curious what pro-level athletes eat as their go-to pre-game meal? Steve Nash shares. Vega recently supported the Los Angeles premier of Michael Hamilton’s new film, “Nash the Documentary.” We believe Steve Nash represents the ideals of perseverance, goal setting, and giving back to society through his life on and off the court. 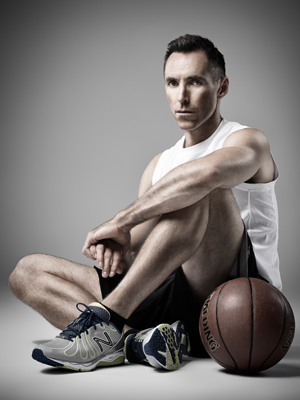 In the film, Director Michael Hamilton grants fans a 360-degree look into Steve Nash’s many personas: athlete, philanthropist, family man and NBA legend. Originally from Victoria, Canada just a few hours from Vega’s headquarters, the two-time MVP NBA player is surprisingly humble. High-profile Nash fans — from President Barack Obama to actors Owen Wilson and Andy Garcia, to Oscar-winning director Ron Howard, and fellow athletes, such as NBA champion Kobe Bryant and NBA All-Star Yao Ming — all weigh in with commentary on one of the NBA’s most prolific players of all time. Q: You grew up in Victoria, BC originally. What was life like growing up in a smaller town and then moving on to play with the big leagues? A: Victoria was a perfect size — big enough that there were always new experiences and small enough to instill a strong sense of community. I had a lot of time in Toronto with the national program, and travel with my family, to have a good appreciation for life in a bigger city, but I also had a pretty good transition, going to a smaller university, before moving to Phoenix, Dallas, New York, and Los Angeles. Q: When you were a kid as young as eight, people who were close to you say that you had an incredibly strong belief that you would become an NBA player, even when others didn’t. What made you believe so much in yourself at such a young age? A: I didn’t start playing basketball until I was twelve or thirteen — but I think by high school I had a plan as to how I could develop from where I was into a quality player. Eli Pasquale really helped with that idea, and with the concept of “hey, if this is your goal, you have to actually decide, consciously, to make it happen.” So it wasn’t so much a dream, as it was a goal, and I had confidence that I would work hard enough and put in the effort to see it through to fruition. Q: You started your NBA career in 1996 with the Phoenix Suns. What is one tip you would share to prolong a career in sport? A: Sleep, I think about how little I knew of the importance of sleep back in my earlier years. I also gave up sugar several years ago, and think that’s been a big factor. And, of course, I’m lucky enough to have one of the best physical therapists in the business working with me on dynamics — Dr. Rick Celebrini, out of Vancouver. Q: Playing an up-tempo style of basketball for over 27 years – how important has nutrition been to maintaining your stamina on and off the court? Q: What is your go-to favorite pre-game meal? A: I eat a lot of whole foods — lean chicken and fish, quinoa, nuts — anything with a good balance of carbs and protein. Q: You’re also known as a philanthropist. 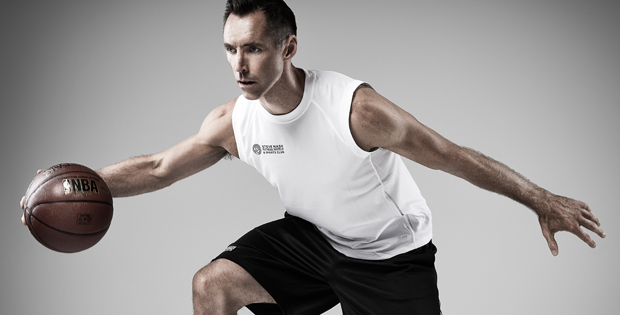 Tell us about the Steve Nash Foundation and what it means to you to give back to society. What is your ultimate goal? A: I started planning for the Steve Nash Foundation as soon as I made the NBA — it was a given that I wanted my basketball success to benefit others. We focus exclusively on kids health and education because I really just feel fortunate to have had the kind of childhood that I did, and want to help kids access those resources they need to feel great about themselves and have outcomes that impact the world in a positive way. The exciting thing about doing it now, is the huge explosion in science that’s shaping best practices, and really pointing to the most effective ways to make a difference.